COLUMBUS, Ohio — Ohio has moved again to impose some of the most far-reaching abortion restrictions in the nation, after Republican Gov. 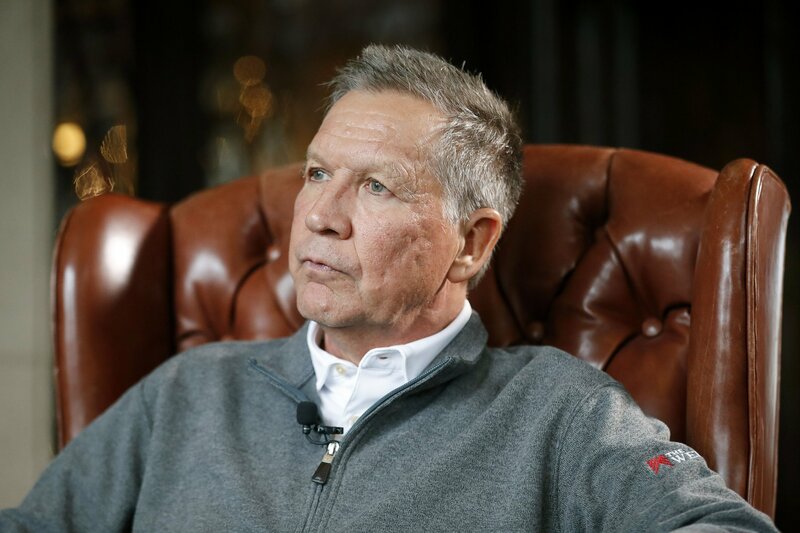 John Kasich signed a ban Friday on dilation and evacuation terminations and set up a showdown with lawmakers over his veto of the so-called heartbeat bill. But the heartbeat bill has twice proven too extreme for Kasich, a potential 2020 presidential candidate who’s spent the past two years in a quest for bipartisan consensus. “The State of Ohio will be the losing party in that lawsuit and, as the losing party, the State of Ohio will be forced to pay hundreds of thousands of taxpayer dollars to cover the legal fees for the pro-choice activists’ lawyers,” he wrote. Ohio lawmakers return to Columbus on Thursday to consider overrides of several Kasich vetoes, although it’s unclear whether they’ll have enough votes to override the heartbeat bill veto. Among factors are vacation schedules and the fact that Kasich’s successor, Gov.-elect Mike DeWine, has said he would sign a heartbeat bill once he takes the helm. Janet Porter, president of Faith2Action and the heartbeat bill’s author, said she believes Ohio is more conservative today than it was when her effort began nearly eight years ago. Advances in medical technology that have allowed fetal heartbeat detection earlier in pregnancy have also helped her make her case, she said. Many Republican lawmakers initially looked askance at Porter’s lobbying tactics, which included teddy bear and balloon deliveries to legislators’ offices, an ultrasound conducted during a committee hearing and a Statehouse flyover. But now she said anti-abortion activists in other states, including Mississippi and Alabama, are looking to Ohio as a model. Kellie Copeland, executive director of NARAL Pro-Choice Ohio, rejects the suggestion that Ohioans are clamoring for the heartbeat bill any more today than they were in 2011. She said term-limited lawmakers elected from safe legislative districts redrawn in Republicans’ favor are pushing measures that are not necessarily in step with the state as a whole. Opponents of the heartbeat bill include the American College of Obstetrics and Gynecology and the Ohio Medical Association. Ohio Right to Life, the state’s oldest and largest anti-abortion organization, remains neutral. No longer unified around previous wedge issues like gay marriage or gun rights, “Republicans or the conservatives have taken to considering abortion restrictions as the way to prove your conservative bona fides,” she said. Ohio Right to Life President Mike Gonidakis said the ban on D&E that opponents call “dismemberment abortion” was more successful because his group built up to it over time. About 17 percent of abortions performed in Ohio last year used this method. But Porter, the heartbeat bill champion, said Brett Kavanaugh’s recent appointment to the nine-member U.S. Supreme Court means half-measures are no longer necessary to overturn the landmark 1973 Roe v. Wade decision legalizing abortion.